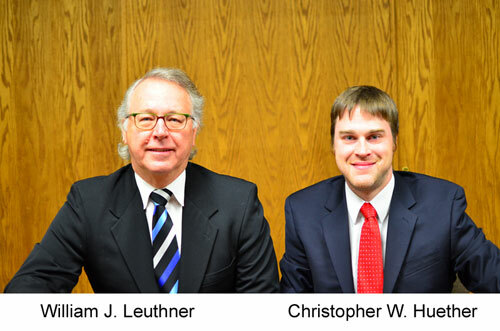 Leuthner & Huether, Ltd. has been a part of West Central Minnesota for over 30 years. We are proud to serve clients at our offices in Morris and Alexandria in the areas of real estate, estate planning and probates, business formation and advice, consumer bankruptcy, and family law. We are dedicated to providing outstanding service and honest legal advice. Our attorneys have the experience and knowledge to assist you with a variety of matters. We focus on the areas of estate planning, real estate, business planning, consumer bankruptcy and family law, and have offices conveniently located in Alexandria and Morris. Whether your problem is a mountain of debt and no end in sight, a real estate issue with a neighbor, a family member who wants to pass on their legacy, or a parent who wants custody of their child, we can help. Please look around our site for more information about our attorneys and our practice areas, and if you want to set up a time to meet with us, just give us a call or fill out the Free Initial Review form to the right. We will get back to you within 24 hours.